When it comes to casual fast food restaurants, one of the more popular yet unique places to try out would be Moe’s. 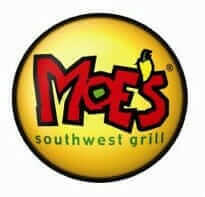 More commonly referred to as just “Moe’s” it is actually formally known as Moe’s Southwest Grill. They offer a wide range of food selections in the Tex-Mex category ranging from burritos, salads, tacos, and quesadillas to name a few and they are considered to be one of the best restaurants in Atlanta because of the high quality food items they serve to their loyal customers. But what is behind the sumptuous Mexican cuisine of Moe’s? Here’s a brief overview of the history of Moe’s which is now dubbed as one of the best restaurants in Atlanta. Relatively new compared to more established casual restaurant names founded in the 1990s or earlier, Moe’s Southwest Grill has been in the business for 14 years. Founded back in December 2000 in Atlanta, GA, Moe’s has gained a steady following which has fuelled their fourteen years in the food manufacturing business. Initially, the parent brand of Moe’s was Raving Brands but in August of 2007, Moe’s was purchased by FOCUS Brands. The very first location of Moe’s is in Garden Hills, but now, they serve the North American region with over 520 locations. From their website, they also have partner franchises in Turkey, Libya, and Costa Rica. Recently, in 2012, they opened their Russian franchise which is indicative of their growth as an international brand. In the United States, it first made its presence known in Atlanta but is now currently available in 35 states. This casual fast food restaurant has a food vision of serving only fresh and high quality ingredients to achieve 100% customer satisfaction. They pride themselves in the warm and friendly atmosphere they have at each of their branches and with every “Welcome to Moe’s!” greeting that you hear, you will surely be pleased with high quality food, service, and accommodation as a valued guest. Julia Gulia – A stack whose name is taken from Drew Barrymore’s character from the movie The Wedding Singer. Earmuffs – A burrito bowl which was inspired by the movie Old School. Who is Kaiser Salsa – You wouldn’t need to know the answer to the question before you get to enjoy this salsa! John Coctostan – For Fletch fans, their John Coctostan quesadilla is something to please their palettes. Moe’s pays attention to the varying needs of today’s modern society. Having been conceived only 14 years ago, they have built a menu of appealing items which can surely satisfy the foodie in you. Their burritos in particular have 20 fresh items prepared on a daily basis to guarantee customer satisfaction! They also do not use steroids, additional preservatives, MSG, rBGH, or anything which can harm your health. Their guacamole is made fresh from HASS avocados and they have handmade pico de gallo salsa and freshly prepared menu items which cater to the different nutritional needs of their customers. They have vegetarian meals for those who avoid meat, or even just for those who would like to have something different. Vegetarians have a place at Moe’s because their vegetarian items are not bland and they pride themselves of having the best tofu around! For individuals who desire low-calorie meals, they also have a dedicated menu for that. Choose from their lite meals, with items which does not have sour cream, cheese, and other high-calorie food items for healthier consumption to avoid reaching above your daily caloric intake. Apart from these specialized menus to suit your tastes, what makes Moe’s one of the best restaurants in Atlanta is that they also have corporate social responsibility and sustainability in mind. While promoting food items that are freshly prepared on a daily basis, they keep in mind the needs of the future generations as well. Choose from their range of Junior Burritos, tacos, quesadillas, nachos, and burrito bowls for complete and satisfying meals. For lighter ones, you can try their salads, stacks, or even kids’ items. All of these items comes with a side of free salsa and chips for your orders! Bacchanalia – One of the top names you will hear when looking for restaurant recommendations. More of a high-end place to be in, you will enjoy the finer dining options here. Flip Burger Boutique – If you want to enjoy great burgers, this place in Howell Mill Road is the place to go for satisfying burger options. Highland Bakery – If you are a morning person and prefer great breakfast items—or simply if you love bread, try out this bakery at Highland Avenue. One highly-recommended item from their menu would be their sweet potato pancakes. Bone’s Restaurant – For steak lovers, try Bone’s Restaurant! The ambience alone with its solid walls and dark wood setting will make you feel like you’re in for a treat. Blue Ridge Grill – For lunch and belly-busting meals that can remind you of your family’s Sunday BBQ, try out Blue Ridge Grill and you won’t get disappointed. No doubt, Moe’s is one of the more convenient, reasonably-priced and accessible options you have for fresh and high-quality meals served to you. The whole family will enjoy their wholesome menu items and whether your order is for to go or dine in, you will definitely enjoy each bite you take from many of their tasty offerings!